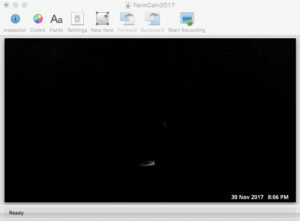 FarmCam Update – Dark Nights or Green Screens? 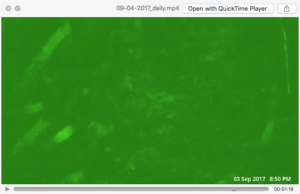 Example of Green Phantom effect. 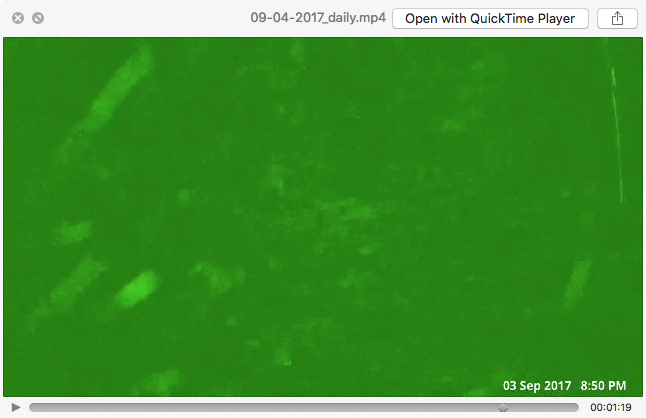 For years I have been frustrated by a nagging issue where the screen of the webcam goes green. 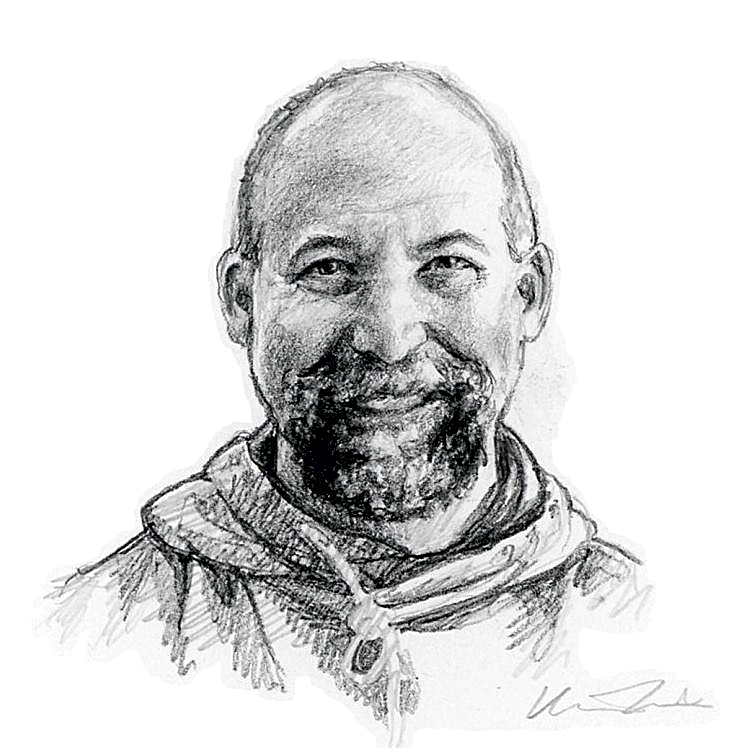 Sometimes in flickers, and sometimes for long periods. I always assumed the issue was something over which I had little control. When I was using a digital camcorder, I had to hack it by leaving a tape out to have it in continuous record mode. Plus I was using an RCA to USB converter to get the signal from the camera to the iMac. I just assumed there was something amiss with my hardware. 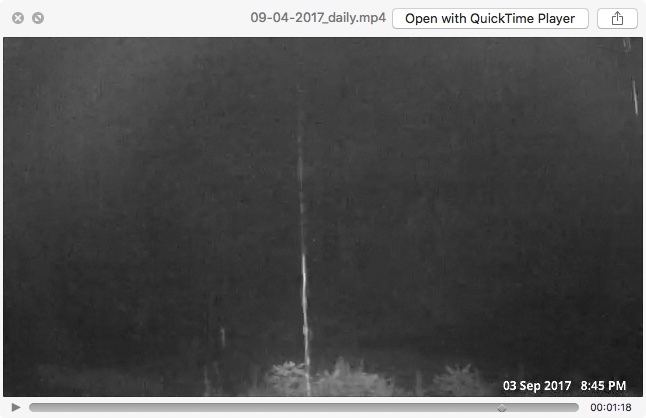 Example of Night Vision feature. 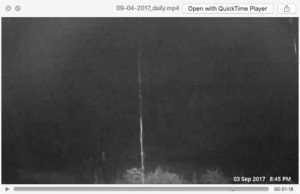 When the issue continued after I introduced the current outdoor, networked camera I still blamed my hack jobs. The camera is currently connected to a POE which is then connected to an old Airport Express, which in turn is an extention of the wireless network to which the iMac is also connected. You can probably see why I would assume the issue is with the creator of this Rube Goldberg contraption. So convinced that I never even tried to research other options. However, lately the amount of green being captured and displayed has been a source of frustration, and I decided to take a stab at potential solutions. I had already considered using the extra length of the Ethernet cable from the camera, and running it directly to the Airport Extreme router, which would remove the POE and the Airport Express from the setup. Or even having the camera wired directly to my Apple Mac Mini server and run all the software on it rather than my office desktop. Current night view … with LED lights on barn. I still would like to do one of these things, but some poking about led me a random reply on a message board where the person suggested making “any adjustment” to the white balance settings. White balance in digital photography essentially refers to adjusting colors so that the image looks more natural. Most light sources do not emit purely white color. They have what’s referred to as a color temperature. For the most part I rarely have never given much thought to white balance beyond the default settings. Logging into the web interface for the Hikvision camera, I looked at the settings all of which are presets. I tried each preset and sometimes the results where obvious and other times not so much. The obvious results were mostly the extremes. The image would have a bright green shading or it was crystal clear. I also noticed I got different results if I adjusted the night settings. 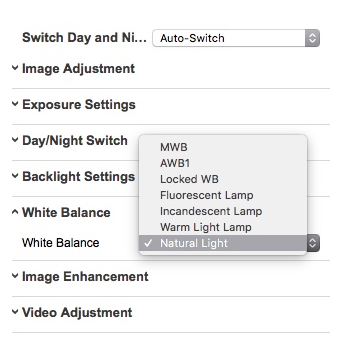 My camera’s White Balance settings. The plan is to try these new settings and watch the daily timelapses to look for evidence of the green screens. If none materialise then I will make note of them, and try tweaking the settings to see if I can improve the results or not. 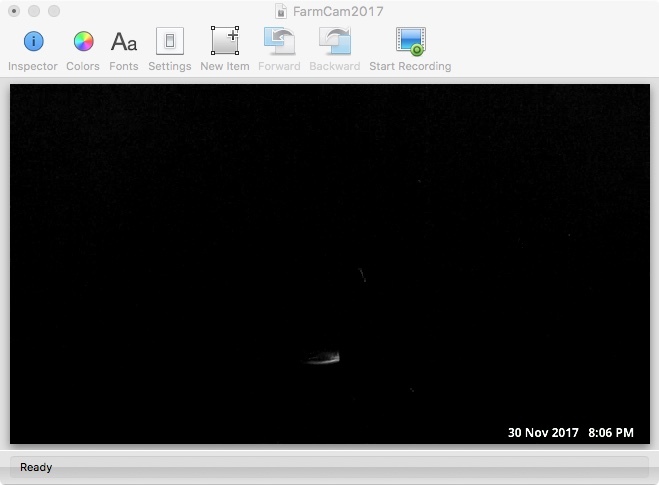 The bad news is that I may have to forgo any night vision settings, which is disappointing as I just replaced the recently burned out lights on the barn with new LEDs. The good news is that the daytime image has improved significantly, and so far the “Natural Light” white balance setting has not shown any sign of the green phantoms. Stay tuned, and let me know if you ever see any unusual images, frequent green screens, etc. I’ll report findings later.